I found you on a shelf at Five Below, stuffed behind other t-shirts of your kind, unfolded and wrinkled by shoppers that were disinterested by your size or color. You said that you wanted to “Kiss My Blarney Stone,” and the moment you were mine, I was determined to help you accomplish that mission. And although I did put you through many rounds of Guinness and too many Irish car bombs, I also assisted you in fulfilling your destiny. I tucked you safely into my suitcase before trekking to Europe. You and I flew across the world and once we got to Dublin, we took a three-hour bus ride to Cork, Ireland. We explored the Blarney Castle, sought out hidden passageways and learned about the history of its royal inhabitants. We climbed further and further up the stone staircase until we got to the roof of the castle. 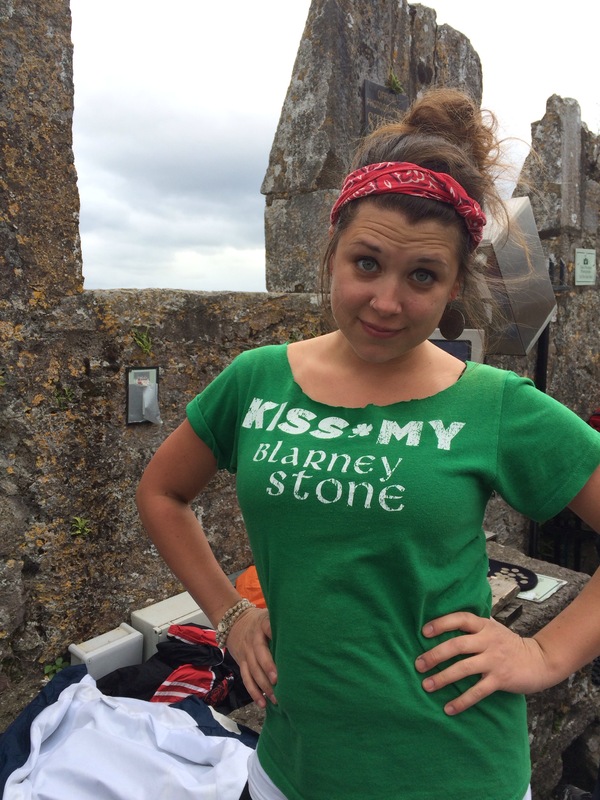 At that point, Shirt, you were revealed from under my jacket (because, let’s face it, I was way too humiliated to be showing you off in the middle of Ireland) and we slowly slid down to kiss the Blarney Stone, the focal point of your only desire. From this point forward you will either be worn inside out by me or on St. Patrick’s Day by a fun-loving Goodwill shopper, but no matter what, you will forever be blessed by the luck o’ the Irish stone.